The degree granting programs of the College of Pharmacy fall within this institutional accreditation. 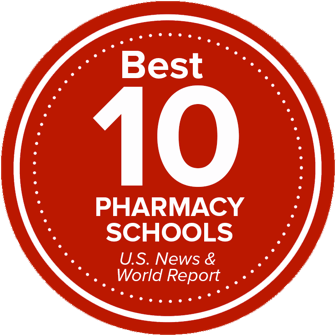 The Ohio State University College of Pharmacy Doctor of Pharmacy (PharmD) program is accredited by the Accreditation Council for Pharmacy Education, which is the national agency for the accreditation of professional degree programs in pharmacy and providers of continuing pharmacy education. The Ohio State University College of Pharmacy has been fully accredited by ACPE through June 30, 2026. The Ohio State University College of Pharmacy PGY1 Pharmacy Practice Residency Programs and the PGY2 Ambulatory Care Residency have been successfully accredited by the The American Society of Health-System Pharmacists (ASHP). The PGY1 with a focus in Community Care is accredited jointly by the American Society of Health-System Pharmacists (ASHP) and American Pharmacists Association.